I have been wanting to introduce you to my friend milkshake for a very long time now. You are so sweet – I knew you guys would hit it off right away! 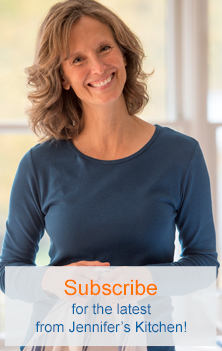 It now looks like you will be lifelong friends. You make me happy. Don’t let autumn boss you around this year, kay? You can stay longer than 3 weeks. You teach me many things – mostly patience; but also how to wave, smack, and swish with one hand while picking raspberries with the other. We’ve spent a lot of time together over the past few years. Thank you for being a faithful friend. 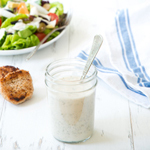 I am always impressed with how you can take a handful of unrelated ingredients and produce a luscious sauce, a creamy salad dressing, or a sweet smoothie. Thank you for this delicious cherry milkshake. Deliciously sweet and creamy with no added sugar. 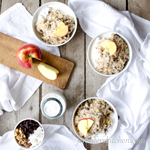 Place all ingredients except cherries in blender and blend until bananas and dates are chopped. Add cherries and blend until fairly smooth. Serve immediately. 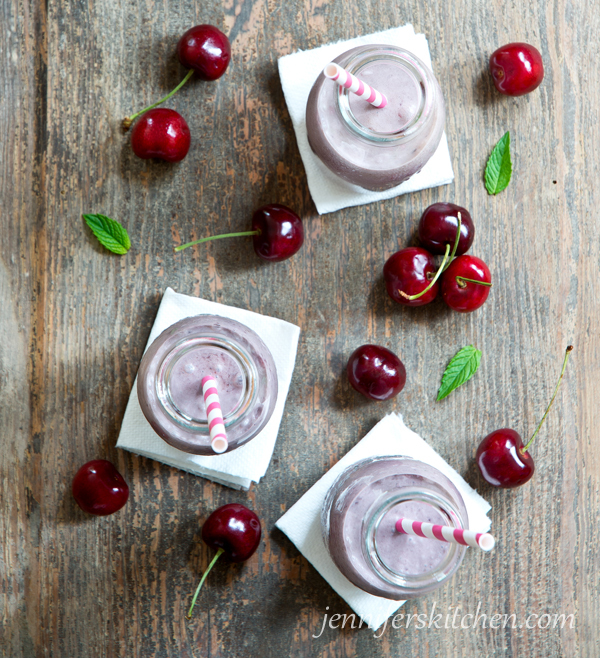 I recommend a heavy-duty blender to make this milkshake to ensure the dates get blended well. Welcome. 🙂 Glad to have you here! Yes, tart cherries contain a substance called anthocyanin, and as few as twenty tart cherries provide enough anthocyanin to inhibit the formation of cyclooxygenase-1 and –2, the enzymes that cause painful inflammation and the same ones targeted by aspirin and ibuprofen. 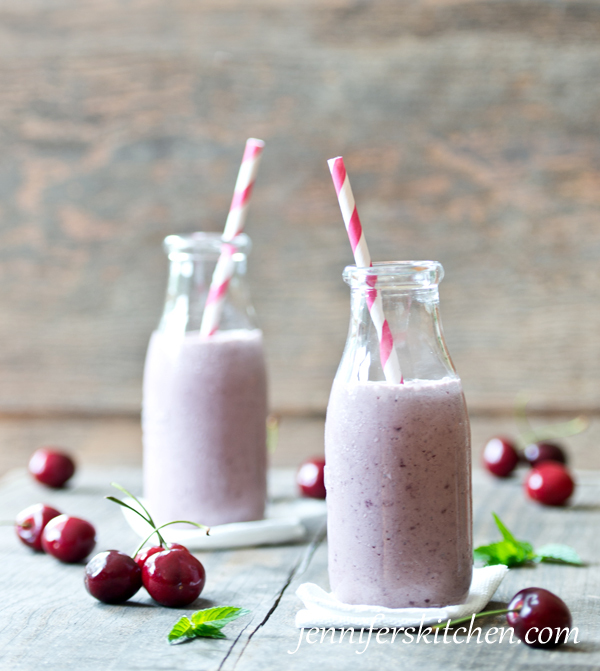 That said, my Cherry Milkshake recipe calls for the regular (sweet) cherry or grape juice concentrate that you would find in about any grocery store, like this. You typically find them in the freezer section, but they are available non-frozen (shelf-stable) also. 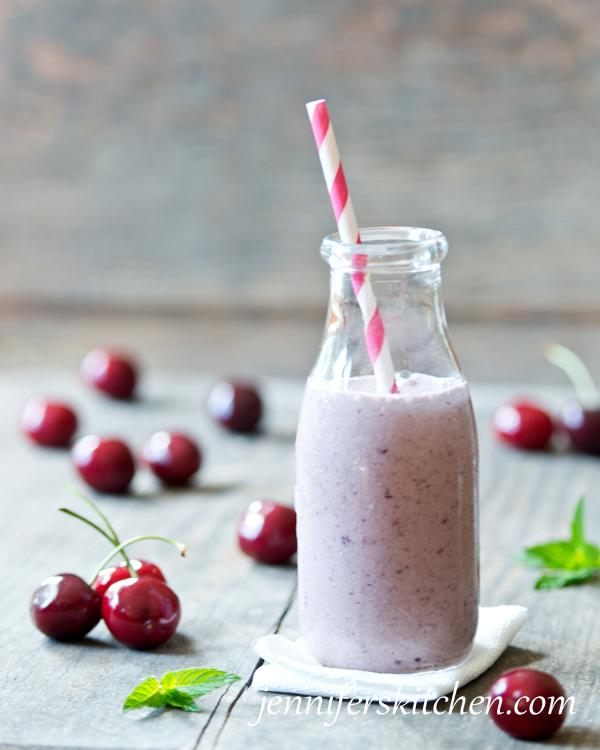 Because cherry juice concentrate that you buy in the store is made from sweet cherries, you wouldn’t receive the same pain-relieving benefit as that from tart cherries. 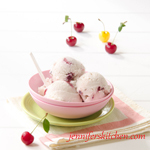 If you want the tart cherry juice concentrate, the easiest place to find it is online. I like this brand, because it’s made from Montgomery cherries which are the same kind used in the studies and also because it is very concentrated so you aren’t paying for water. And of course, you can eat the tart cherries fresh too. 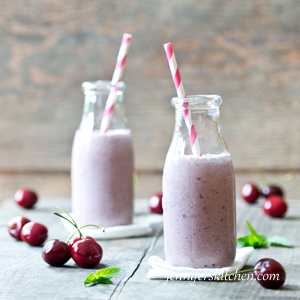 Very interested to try this cherry milkshake … I think my grandchildren will like it also!